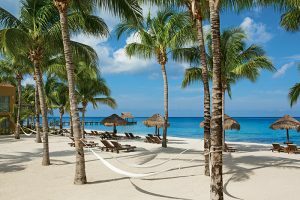 This Private Sailing, Snorkeling & Beach excursion offers the very best of Grand Cayman by combining sailing to the World Famous Stingray City Sandbar, along pristine mangroves, onto fantastic beaches and snorkeling stops along the way. 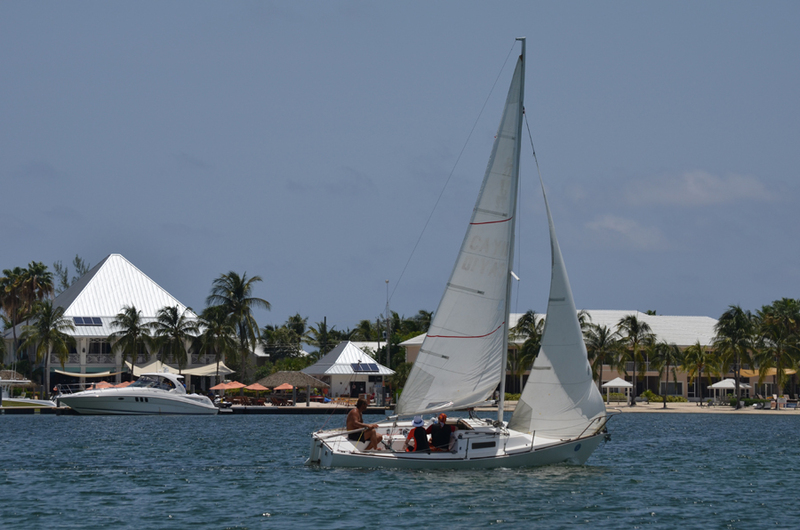 Whether you are an avid sailor or simply interesting in a sailing experience, its is an amazing option for you and your group or family. 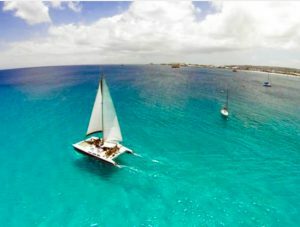 This Cayman Sailing Excursion, being a private charter, will add plenty of flexibility to your itinerary by enabling you to choose how much time you would like to stay at the Stingray City Sandbar, how much time you would like to stay at the beach instead, or to simply sail all over the pristine Mangrove Grand Cayman has to offer while exploring for wildlife, Turtles and more. 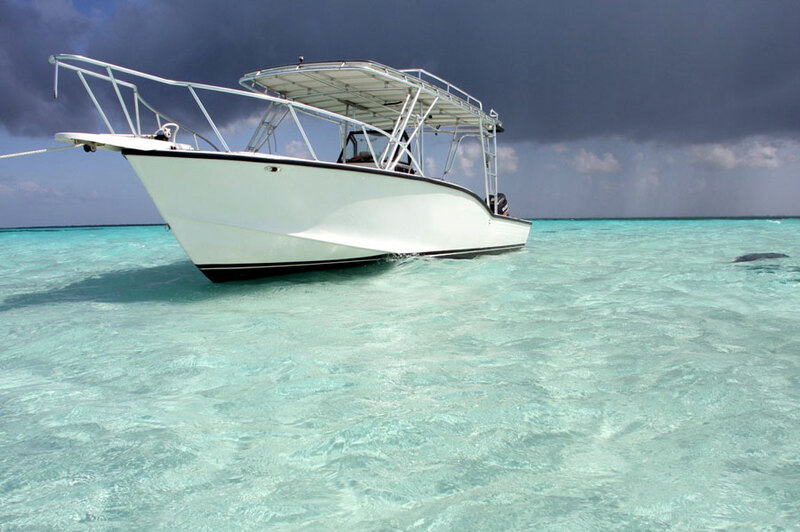 Sailing the calm waters of Grand Cayman on our J-22 is an experience you will never forget. 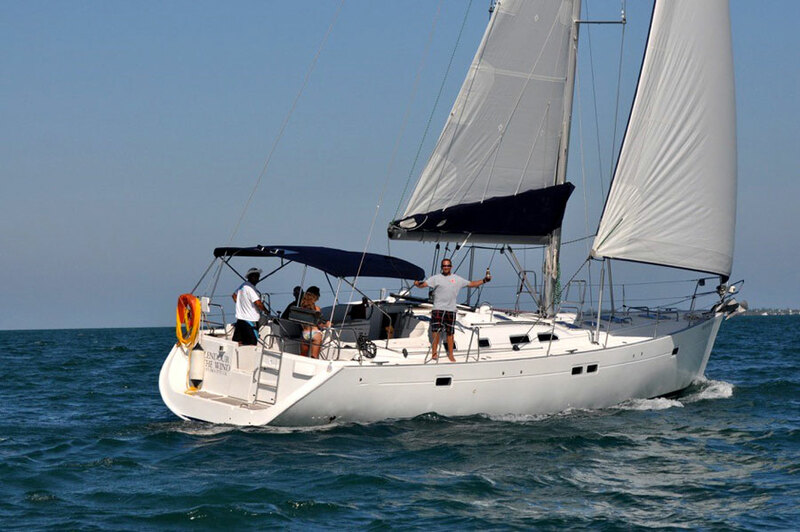 This private charter will take your group of up to 5 passengers to the calm waters of the North Sound in the privacy and comfort of your own sailboat. 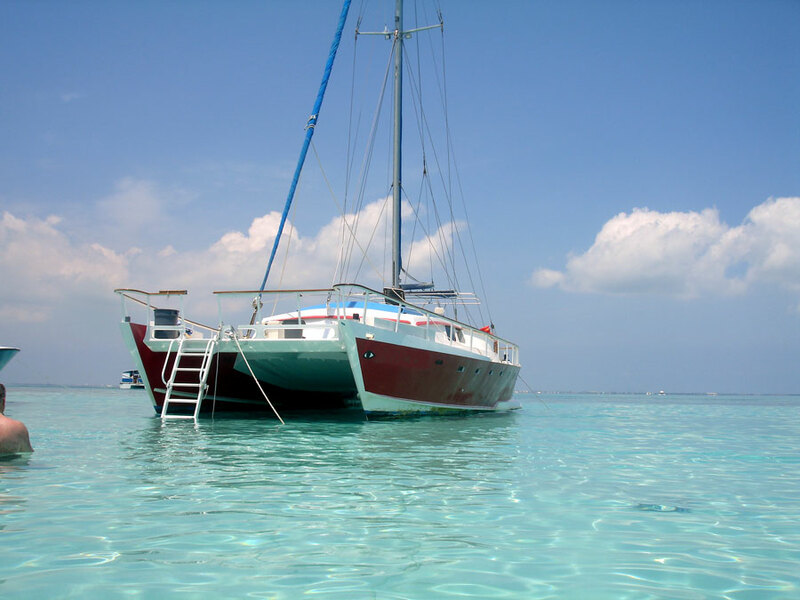 Captained by a seasoned Olympic sailing veteran, (His roster of expertise and racing regattas are too ample to list) John Michael will take you to areas inaccessible by the average vessel with the flexibility of having your own sailboat in the Grand Cayman Islands. 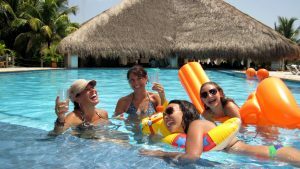 The Snorkeling, Sailing and Beach Adventure Tour is privately chartered ONLY (Sorry, no mixed reservations on a per passenger basis) for groups of 4 passengers or less. The Stingray City Sandbar in Grand Cayman is by far the most popular location. 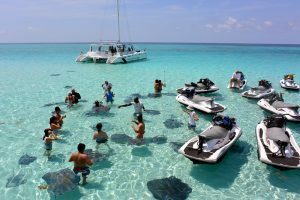 The Sandbar is barely 3ft deep offering numerous Southern Stingrays eager to interact with passengers standing on this beautiful underwater sandbar. 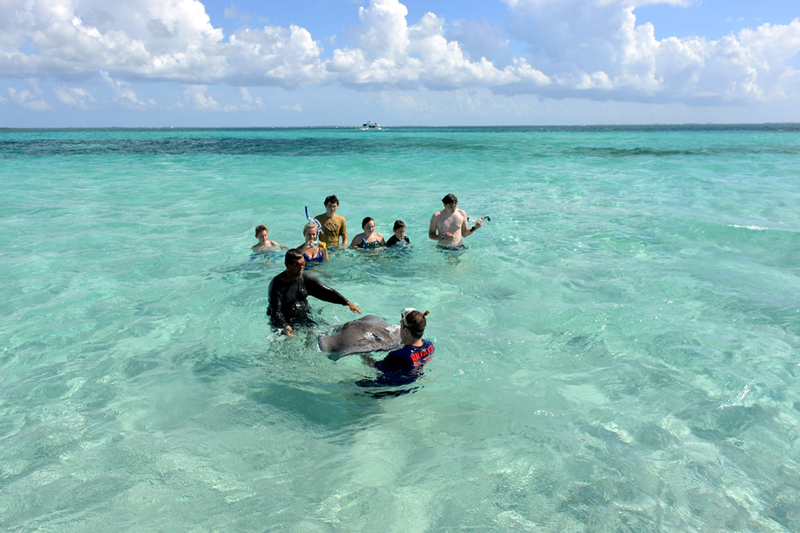 During your stop at Stingray City you will be feeding, petting and interacting with Southern Stingrays for approximately 30 minutes. 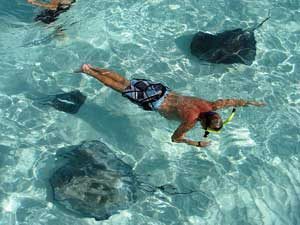 Snorkeling gear and food for the rays is included. 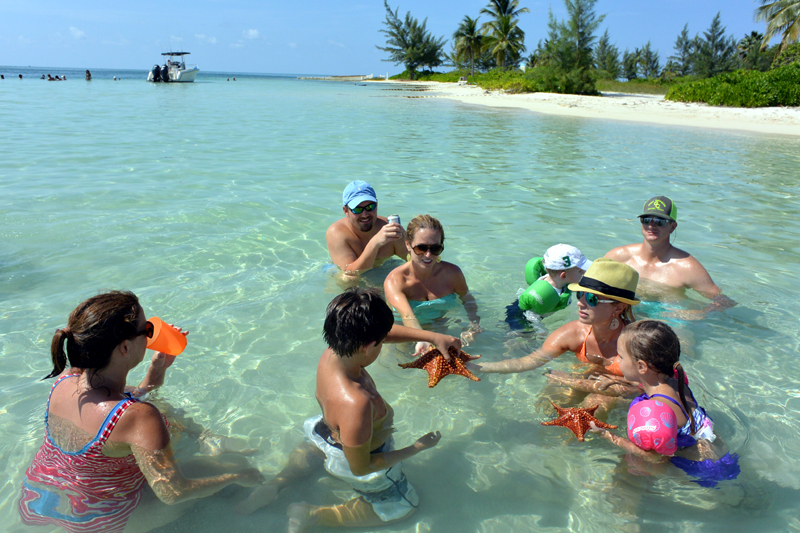 Following the Stingray City stop, we will head to Starfish Beach where you can lounge in the calm shallow waters or hunt for starfish and shells for great photo opportunities (the Starfish can be gently handled for photos but must not be taken). 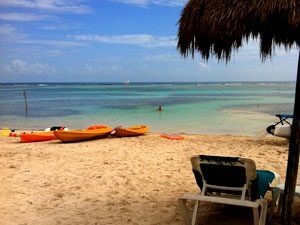 lowing the Starfish stop you may opt to visit Kaibo Beach Club or Rum Point Beach for lunch, drinks and some R&R. 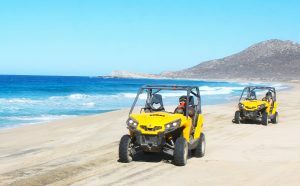 Lunch is not included in the price but you will be given the opportunity to enjoy a true local favorite beach restaurant. 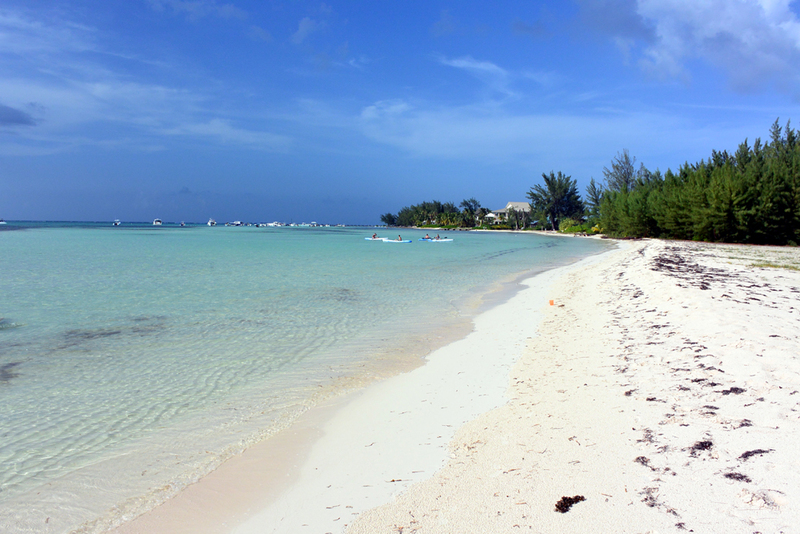 The way back to the staring point of your sailing excursion, we will take you through Booby Key, a protected area in Grand Cayman famous for it’s wildlife. 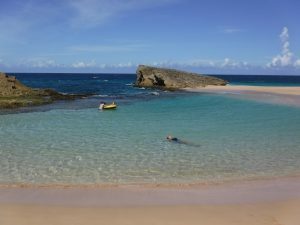 This area is where large flocks of tropical birds are found as well as a mating area for Sea Turtles. 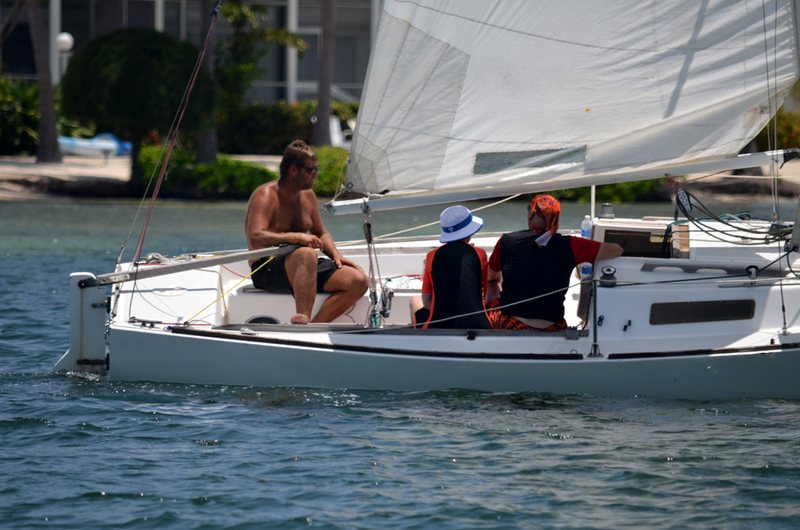 Whether you are a season sailor or a beginner this excursion will be equally enjoyable. 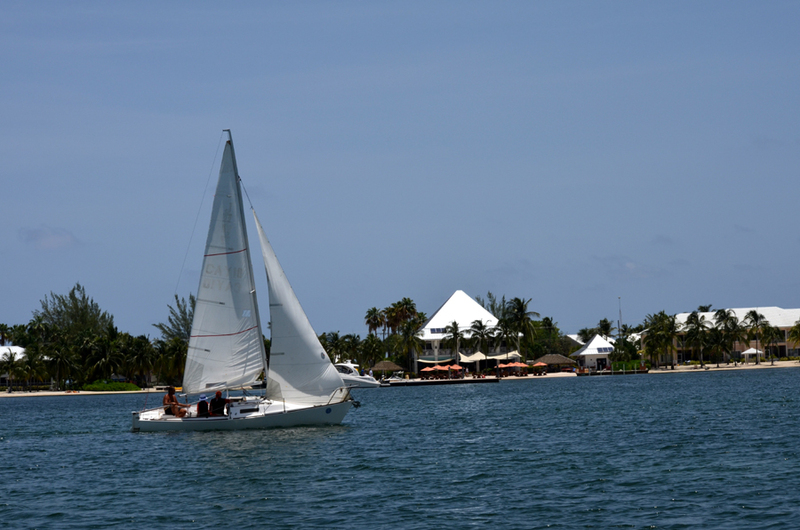 For avid sailors it will give you the chance to sail at your heart’s content. 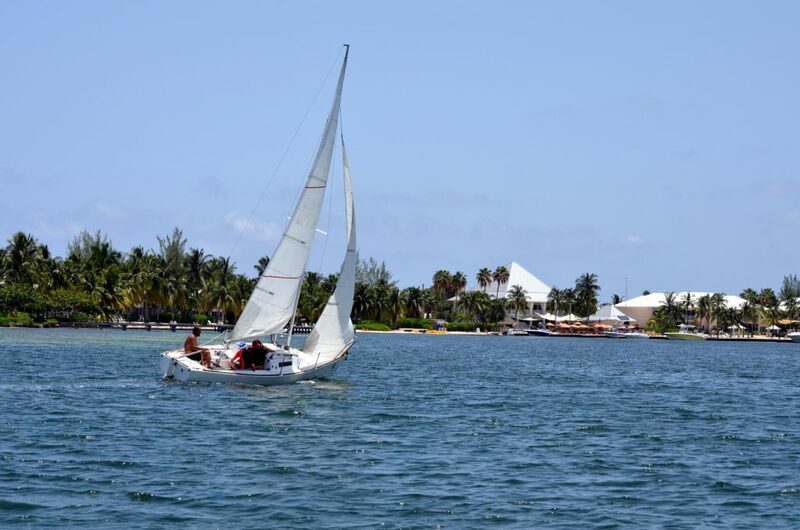 For beginner sailors it will be the sailing lesson you will never forget and your chance to participate in the operations of this J22 Sailing vessel. Please ensure to reserve early as availability is extremely limited. 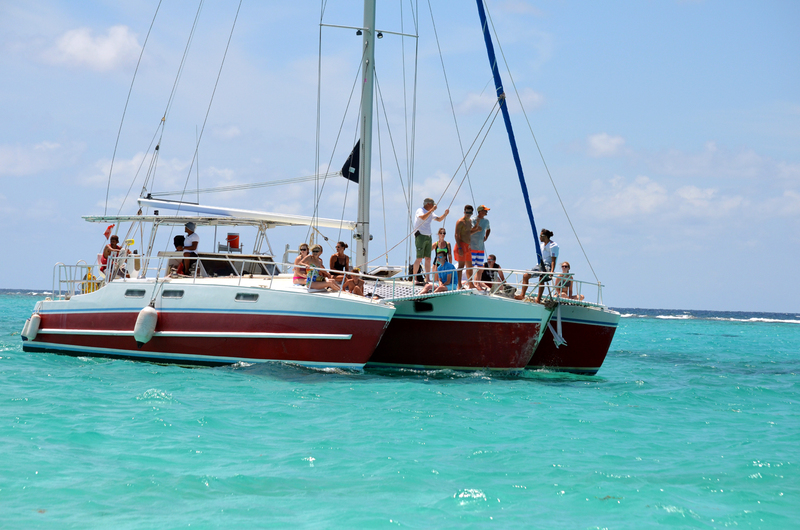 With only one J22 Sailboat Boat excursion per day, this extremely popular tour is often reserved months in advance. 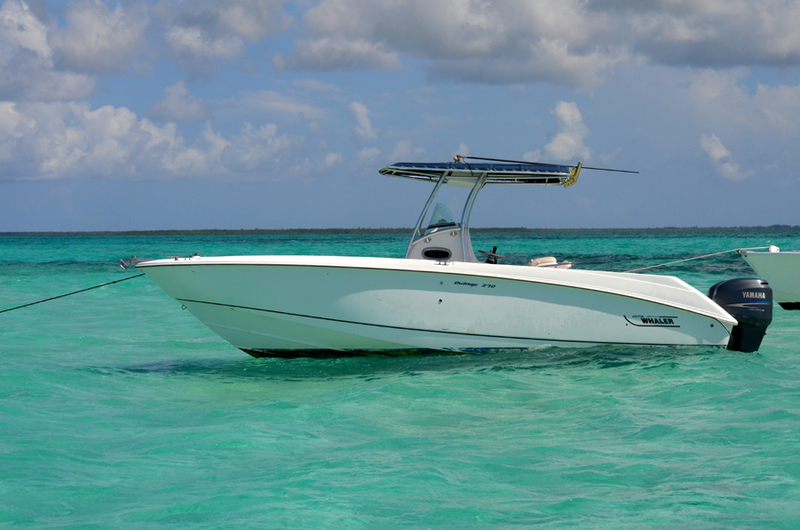 Stingray City Sandbar, Original Stingray City, Snorkeling Sites, Starfish Beach, Kaibo, Rum Point and Mangroves... The choice is yours! 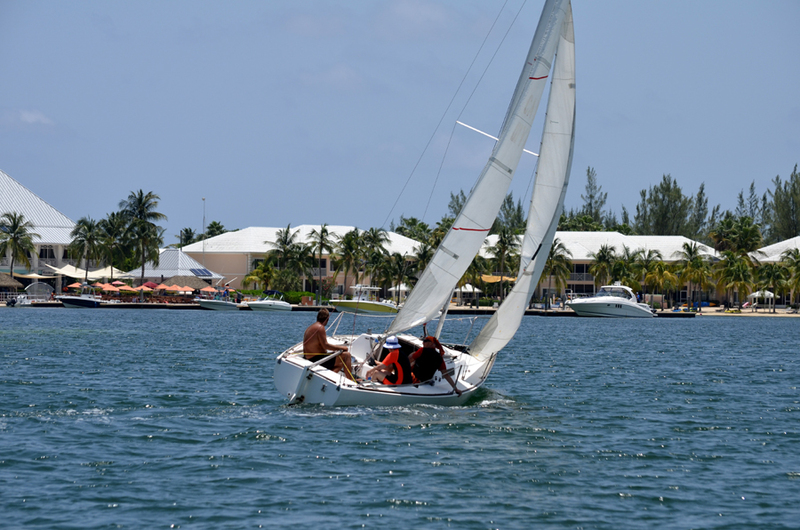 Learn to Sail or Simply enjoy the adventure with an Olympic sailing instructor. 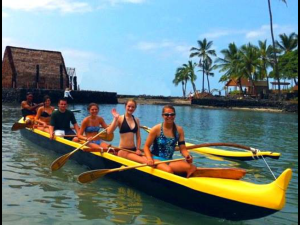 Transport provided from the Port, Resorts or Kaibo Dock, no additional charge! Soft drinks & bottled water - Feel Free to BYOB. The minimum age to participate is 5yrs of age. 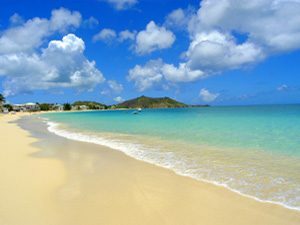 Private Charter times will be organized according to your times in Port. 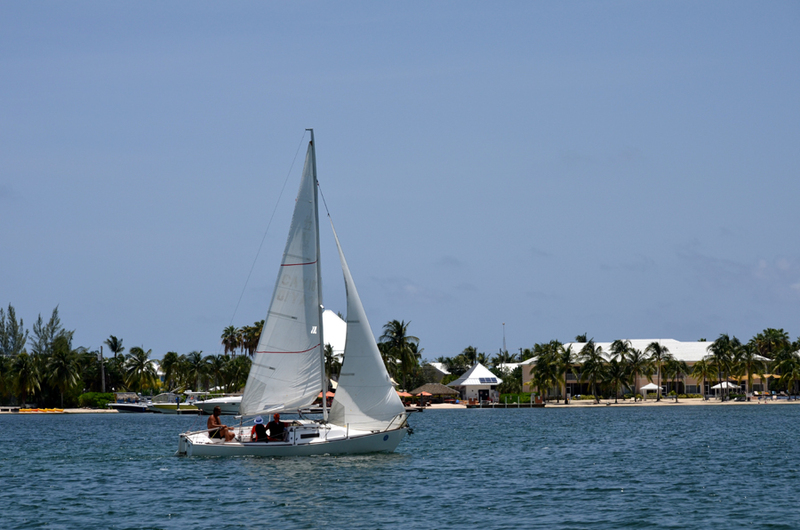 Private Charter times are 8:30am to 2:30pm Resort to Resort, or 9:00am to 2:00pm for Rum Point Kaibo Dock pickups.